During Japan’s depression-era Shōwa period, young father Shinji Okajima loses his job and must find a way to provide for his wife Sugako (Emiko Yagumo) and three children. Featuring stunning performances from child actors Hideo Sugawara and five-year-old Hideko Takamine (who would grow up to become one of Japan’s most legendary actresses), Ozu conjured a personal, empathetic viewpoint of a family who, while struggling, are bound by their bonds. A tribute “to the language of silent film which Ozu undoubtedly recognized as a medium on the verge of disappearance” (Catherine Russell, Cineaste), Silent Revue presents one of the master Japanese filmmaker’s earliest and greatest masterpieces—1931’s TOKYO CHORUS. Oscillating between a warmhearted family comedy and a heart-wrenching, realist drama, TOKYO CHORUS is in dialogue with Ozu’s most revered sound films including TOKYO STORY. During Japan’s depression-era Shōwa period, young father Shinji Okajima (played by the incredible Tokihiko Okada just a few short years before his death at the age of 30) loses his job and must find a way to provide for his wife Sugako (Emiko Yagumo) and their three children. Competing with the material expectations of his spoiled seven-year-old son—who rejects his father’s gift of a scooter after demanding a bicycle—as well as his wife who has her best kimono sold when their daughter becomes ill, Shinji battles life’s disappointments. 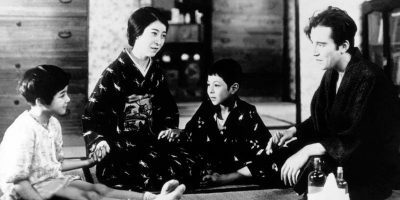 Featuring stunning performances from child actors Hideo Sugawara and five-year-old Hideko Takamine (who would grow up to become one of Japan’s most legendary actresses), Ozu conjured a personal, empathetic portrait of a family that, while struggling, are strengthened by their familial bonds. Heavily influenced by King Vidor’s 1928 THE CROWD, Ozu’s TOKYO CHORUS prefigures such moving portrayals of fathers and sons as De Sica’s BICYCLE THIEVES, while focusing specifically on the isolation and alienation of life in a modern city. Silent Revue is Toronto’s celebrated ongoing exploration of Silent Cinema – the only year-round dedicated selection of silent films in a theatrical venue. 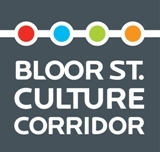 Silent Revue is Toronto’s celebrated ongoing exploration of Silent Cinema – the only year-round dedicated selection of silent films in a theatrical venue. All screenings feature live musicians and are set in the fabulous silent-era Revue Cinema! A talented cohort of musicians accompany these screenings, including Marilyn Lerner, William O’Meara, Jordan Klapman, Tania Gill and Jeff Rapsis. Silent Revue is generously sponsored by Hollywood Suite. FILM WILL BE SCREENING AT THE REVUE CINEMA at 400 RONCESVALLES AVE.